Googled and googled and couldn’t find an aricle on this so here it is a quick and easy way to print the contents from a DX ASPxPopupControl! Add an empty IFrame control to your page. 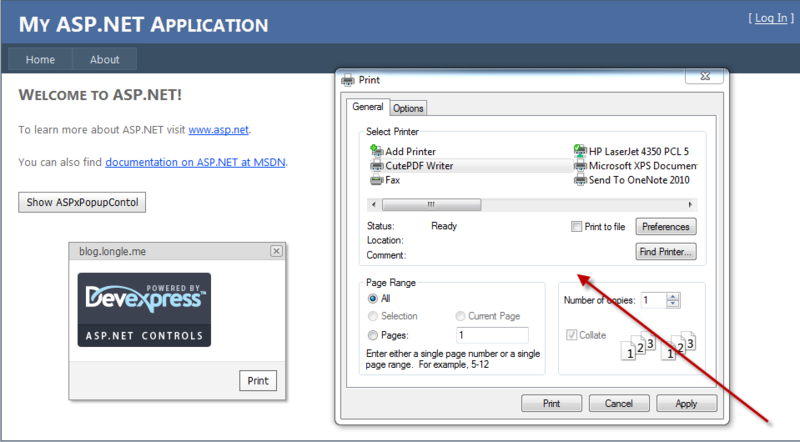 Add a print button to the footer template of your ASPxPopupControl. Wire up your client side Click event on your Print button, all we are doing here is extracting the Html from the ASPxPopupControl and injecting this into the empty IFrame from step 1 and loading it, once loaded the onload event in the body tag will be raised bringing focus to this IFrame and then the .print() method will get invoked. You should get a nice print dialog now. 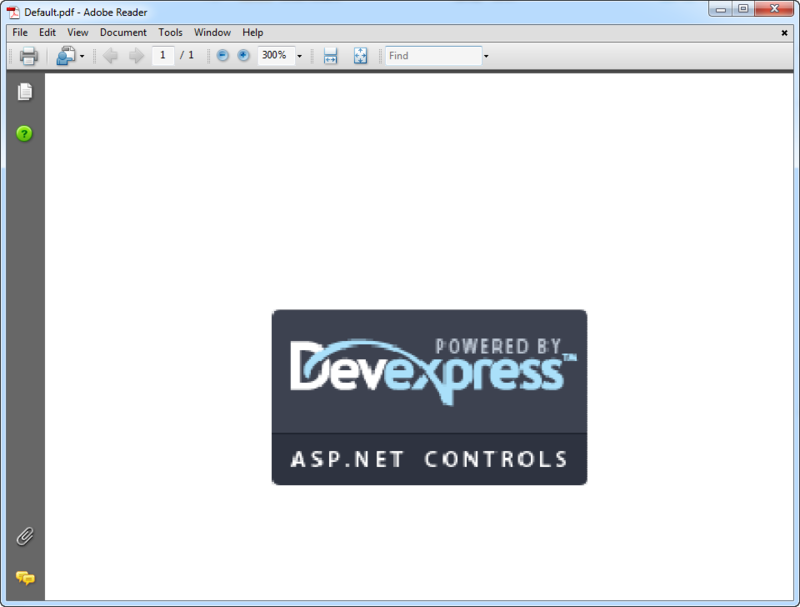 I selected for it to print to my PDF print driver, and here is snapshot of the print out (obviously only of the content inside of the ASPxPopupControl.